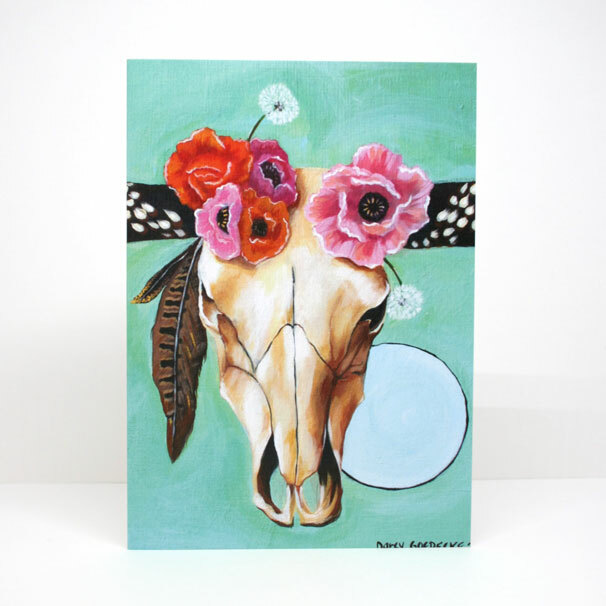 A cruelty-free skull for the boho/country animal-lovers out there. This painting is a combination of many meaningful symbols and memories to me: pheasant feathers, dandelion wishes, poppies, skulls, and the moon. This high quality Giclee (ink) print is on stretched canvas. It has an acrylic UV coating on the top, but should be hung out of direct sunlight. This canvas is 1 1/4″ thick and is ready to hang!